It was 50 years ago today, the Beatles taught the marketers to play. Before there was social media or content marketing, the Beatles landed at JFK on February 7, 1964. Days before The Beatles landed, their song “I Want to Hold Your Hand” reached number 1 on the US charts, the band’s first hit. 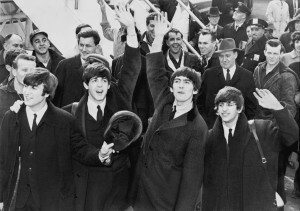 A crowd of 5,000 screaming fans waving signs greeted the Beatles at the airport at they descended from their Pan Am flight. They nearly caused a riot. The British Invasion and Beatlemania grew from there. While this teen flash mob may have seemed unplanned at the time, it wasn’t. Nicky Byrne of Seltaeb, The Beatles’ US merchandising organization, made an agreement with radio stations WMCA and WINS to give a dollar and a free Beatles t-shirt to every fan who showed up at JFK. WMCA’s Murray the K announced the band’s flight details. Other radio stations repeated them amplifying the message. Additionally, Capitol distributed posters and car stickers throughout New York City, proclaiming ‘The Beatles are coming.” They also answered their phones “Capitol Records—The Beatles are coming.” Talk about word of mouth. The Beatles first appeared on the Ed Sullivan Show on February 9, 1964 to an audience of screaming teenage girls. Paul McCartney, Ringo Starr, John Lennon and George Harrison played for an estimated 73 million US television viewers, roughly 40% of the US population. The Beatles went on to play live concerts, create records and movies. All of which were greeted with high levels of fan fervor. In turn, this resulted in more press coverage that fed the fans’ desires for more and more Beatles related content. What can today’s social media marketers learn from the Beatles? Here are 10 social media lessons from the Fab Four. You can’t just step onto the social media stage and expect people to love, follow and applaud you. You must perfect your craft, whatever it is. In Outliers, Malcolm Gladwell refers to this as the 10,000 hour rule. Between 1960 and 1964, The Beatles did over 1,200 live performances in Hamburg, Germany. If you add in rehearsal time, they easily met the 10,000 hour threshold. Actionable Marketing Tip: Practice your craft away from the spotlight. 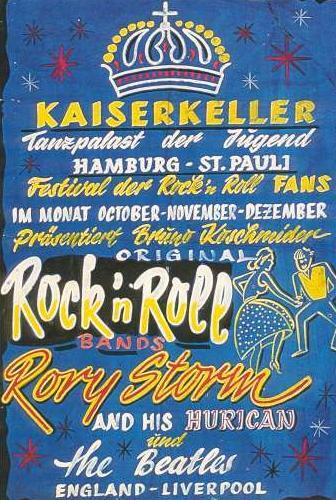 When the Beatles played in Hamburg, they were the last name on the list. While they had an audience, they weren’t the focus of attention which gave them the space to develop on their music. Actionable Marketing Tip: Develop quality content that your audience actively seeks out. Like the Beatles, your content has to break through and attract an audience. The Beatles came from humble beginnings in Liverpool. Their story appealed to every boy that wanted to be in a rock and roll band. Beyond that, The Beatles became the archetype for how to create a boy band. Actionable Marketing Tip: Use your corporate stories to connect with your audience. Your audience remembers the stories more than plain facts. In the beginning, the Beatles didn’t care about their appearance. Their manager Brian Epstein encouraged them to dress more smartly so that they could become more acceptable to bigger platforms. Take note of this critical point. How does your brand look? How is your brand’s look aligned with your audience and your platforms? 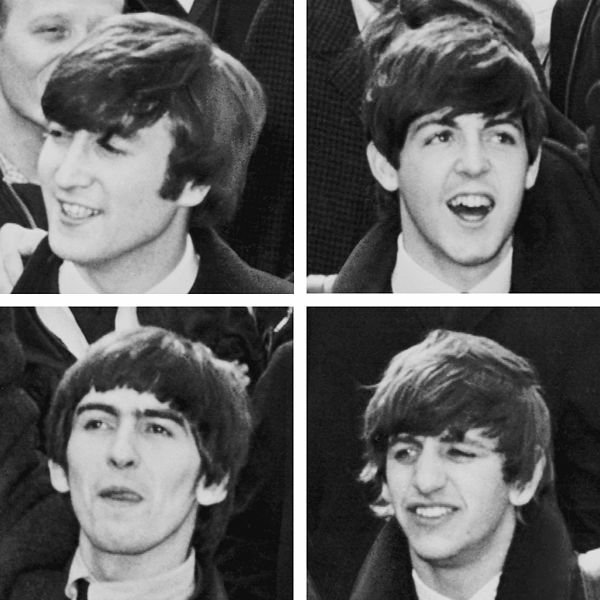 The Beatles were known for their haircuts, often referred to as moptops. They were called the Fab Four. Interestingly their brand extended to their music. By 1963, they had agreed that the 4 band members would contribute vocals to all of their albums. Actionable Marketing Tip: View your brand from the outside. What do you want your customers to think? Is your appearance aligned with this impression? If not, change it. Also, assess every aspect of your brand across media platforms. 5. Distribute your content widely. The Beatles moved beyond just sharing their music in small rock venues in Hamburg and Liverpool. They started making records that reached larger audiences via the radio and record store sales. In February 1964, the band went on the Ed Sullivan Show and reached 40% of the US population! Actionable Marketing Tip: Have a plan for distributing your content to a variety of social media and owned platforms to reach the maximum audience. Don’t leave your distribution to chance. 6. Craft shareable sound bites. Paul: Yeah well… first of all, we’re bringing out a ‘Stamp Out Detroit’ campaign. Actionable Marketing Tip: Be entertaining and likable on social media. Where possible use quotable and funny content to help it go viral. The Beatles extended their reach to mass audiences at a time when people didn’t own personal media devices (like smartphones) or have social media. The Beatles used live events, records, television, namely the Ed Sullivan show, and movies. They created 5 full-length movies in a span of 5 years! Actionable Marketing Tip: Make sure that your key audience has multiple ways to find and consume your content. Use different formats such as text, images, audio and video. The Beatles understood what their fans wanted. They created a monthly fan magazine to fuel the excitement. Additionally they crafted special holiday greetings that were bootlegged, making them even more valuable. Actionable Marketing Tip: Interact with your best fans and create related content that they want and need. For example, give them interviews and behind the screens information for which they long. To satisfy their fans, the Beatles developed many licensed products that they distributed via a variety of channels. Many bands do this in the form of t-shirts but the Beatles were one of the first bands to produce a variety of different products. Actionable Marketing Tip: Plan to extend your reach by offering your customers and fans special branded product and content. Don’t just brand product for the sake of branding product. Make sure that it has value for your audience. 10. Evolve with the times. The Beatles kept pushing their music craft adapting their music and borrowing styles from other musicians and cultures, most notably their trip to India. As a marketer, don’t assume that what works today will work tomorrow. Actionable Marketing Tip: Continually refresh your social media content to ensure that your brand and content are effective. Further, look at your product offering with an eye to improving it. If you’re not sure about what to do, ask your raving fans. As a marketer, you can learn a lot about social media by perfecting your product offering and building your brand on social media. What lessons have you learned from the Beatles? PS Want more of the Beatles? Visit to the NYPL, now through May 10, 2014. Tags content marketing, Ed Sullivan, Social Media Lesson, The Beatles. Bookmark the permalink. In reality – the step that is more important than all others listed and arguably the parent to which many of the other steps are just bi-products is “2. Create amazing content” . “Truly amazing content” cannot be produced according to a guide or strategy – it is based in true creativity which is a commodity that every brand, product or service craves and we witness brands unashamedly try to replicate on a daily basis. At the end of the day, if you followed all of these steps and your content sucked – you would waste time and money to launch a failure. Marketing strategy cannot polish a turd – it can enhance the reach and market potential of something that naturally engages audiences. Important thing is G0ogle has started displaying the G+ profile details including number of followers, next to the URL of the website. So when you have a Good number of G+ Followers it will build the trust to visit your website. This will definitely increase your organic traffic. Maybe its social media that is matching all the elements of old time marketing. No matter, the pieces of that puzzle were useful back then and are going to continue to be useful into the foreseeable future. The parts that make up our marketing now are not so much different than they were then, but maybe are accelerated in their effect on people in general. Faster, more furious and very, very effective.